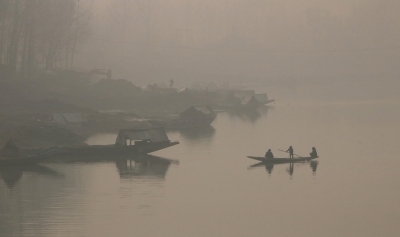 Srinagar, Dec 7 (IANS) Srinagar witnessed the season's coldest night at minus 4 degrees Celsius, while the minimum temperatures across Jammu and Kashmir continued to drop on Friday, the weather office said. "The temperatures dropped due to clear night sky. During the next 48 hours, the state's higher reaches are likely to receive light snow as a Western Disturbance is expected to become active during this period," a Met Department official said. In the Jammu region, Jammu city recorded 7.3 degrees Celsius, Katra and Batote 7.5, Bannihal 5.2 and Bhaderwah 0.5 as the night's lowest temperatures.